About this object Representative Thomas Foley of Washington served 15 terms in the House before losing re-election as Speaker of the House. Despite continued divided-party government, the 101st Congress (1989–1991) increased taxes to stem a growing deficit, created the Resolution Trust Corporation to address the failed Savings and Loan bank industry, and passed the Americans with Disabilities Act (ADA). In late 1989, the fall of the Berlin Wall—a symbol of American’s Cold War with the Soviet Union—heralded the collapse of Eastern Europe’s communist regimes. Within a year, Congress weighed whether to take military action against Iraq after it invaded Kuwait. President George H. W. Bush signed the Americans with Disabilities Act (S. 933) into law. 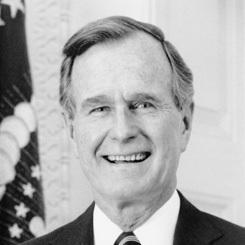 President George H. W. Bush addressed a Joint Session of Congress to explain the U.S. response to Iraq’s invasion of Kuwait six weeks earlier. 1Resigned from the House of Representatives, June 6, 1989. 2Elected Majority Leader on June 14, 1989, to fill the vacancy left when Majority Leader Thomas Foley was elected Speaker on June 6, 1989. 3Elected Speaker on June 6, 1989, following Speaker James Wright’s resignation on the same date. 4Resigned from the House, June 15, 1989. 5Elected Whip on June 14, 1989. 6Resigned from the House on March 17, 1989 to become Secretary of Defense. 7Elected Whip on March 22, 1989. 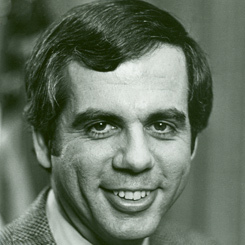 9Representative Gray was elected Democratic Whip on June 14, 1989.